Fill out the Referred By section of the Official Referral Certificate and give it to a friend. Have your friend fill out the New Member and Qualifying Account(s) sections and take the Certificate to a Member Center at the time a CEFCU® Savings and qualifying account* is opened. You could receive up to $25 via automatic deposit to your Savings account within 4–6 weeks. 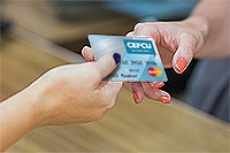 *For a limited time, any current CEFCU member in good standing (“Member”) can receive up to $25 (“Referral Fee”) via direct deposit to his/her CEFCU Savings account by referring a non-member friend (“Friend”) to CEFCU, where the Friend opens a qualifying new CEFCU account and submits an Official Referral Certificate within five business days of account opening. To refer a Friend, simply complete the “Referred By” section of the Official Referral Certificate and provide it to your Friend. 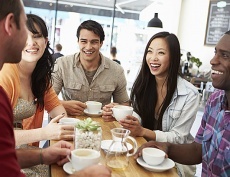 For you to receive the Referral Fee, your Friend must (i) qualify for CEFCU membership; (ii) open a regular Savings account with a minimum deposit of $5 on or before 6/30/19; (iii) open a qualifying CEFCU account at the time of the Savings account opening; and (iv) submit a completed Official Referral Certificate at the time of account opening or mail it to CEFCU, attn. : Marketing/Referral, P.O. Box 1715, Peoria, IL 61656-1715 within five days of account opening. 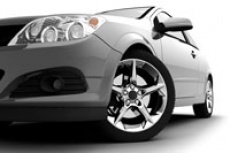 Qualifying accounts to receive a $25 reward may be any of the following: Checking, Vehicle Loan or Credit Card account. Qualifying accounts to receive a $10 reward may be any of the following: Personal Loan, Health Savings Account, or (where the primary member is age 12 or younger), the Savings account referenced at (ii) above. Qualifying accounts do not include Insured Money Market Accounts, Club Accounts, Home Equity Loans, Home Loans, Uniform Transfer to Minor Accounts, Rep Payee Accounts, or Certificates. Referral Fees will be deposited four to six weeks following the Friend’s account opening. There is a limit of 3 Referral Fees paid to a Member, or $75, whichever is greater, per calendar year. Only one Referral Fee may be redeemed per new Member. Offer subject to change and void where prohibited or restricted by law. Employees and volunteers of CEFCU, their immediate families, and any person living in the household of these individuals, whether related or not, are not eligible to receive a Referral Fee. All accounts are subject to qualification. The value of the bonus is considered a taxable dividend to you and will be reported on IRS Form 1099-INT.